a. 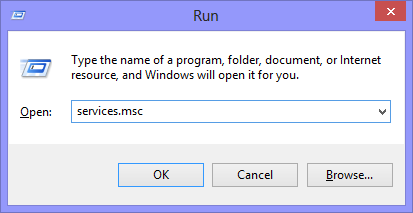 Hold the Windows Key and press ‘R‘ to open the Run dialogue, type “services.msc” and hit Enter (or press OK). b. 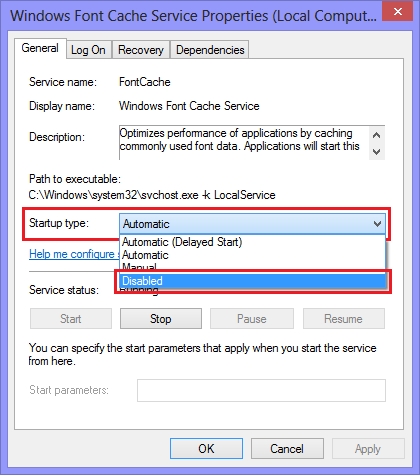 In the Services window, right click the “Windows Font Cache Service” and select Properties. c. For the Startup type drop down, choose Disabled and hit OK.
2. Restart your computer (the service will not start) and proceed with the Office 2013 installation. a. Repeat steps 1a and 1b. b. For the Startup type drop down, choose Automatic and hit OK.
4. On the Office 2013 installation error screen, click Try Again. The installation should continue without issue. Oh my god! Thank you so much! This 100% works. Merci, ca marche du tonnerre! If I’m understanding your issue, you can’t re-enable the service after stopping (Step 3). Enable is not a valid option in the Startup Type field, make sure you’re looking for Automatic as outlined in the post. Excellent tip. Followed your instruction and it worked perfectly. Thank you so much. Thanks a lot, this fixed my problem. But makes me wonder, why do some people get random problems like this and others dont… I mean the 0s and 1s of all windows are same right ? Really baffling ! 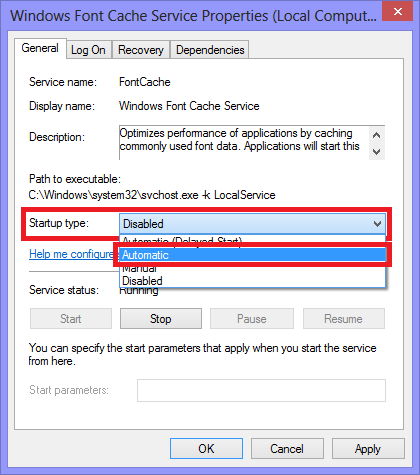 @Ahsan Nawazish – If you’re getting the same error code that is listed in this blog post, that means you’ve definitely got the windows font cache service. So you’re likely missing something in the services window. Go to Start, choose Run and type services.msc. 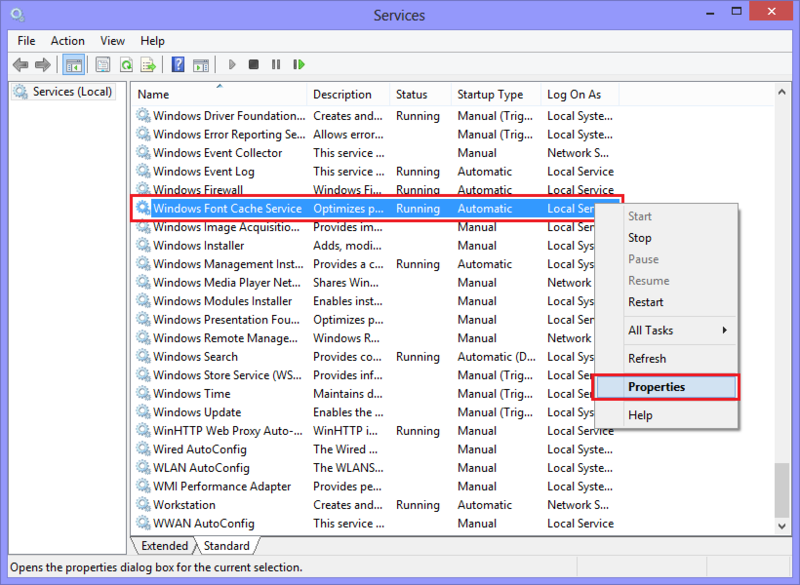 Once the services window is open, click the Name column to sort all services by name. Scroll down until you get to all of the services that start with “Windows“, and you should see Windows Font Cache Service.